Discover benefits of walnuts and walnut oil. Walnuts come from a family of trees and shrubs called Juglandaceae. There are 21 species of walnut trees. They're large and grow rapidly. They can grow 20 feet in ten years and upwards. The trunk is approximately 5 feet in diameter. Limbs can spread 30 - 40 feet, with leaves and blooms in the Spring. Found in Argentina, Europe, Japan, Canada, USA and other countries. 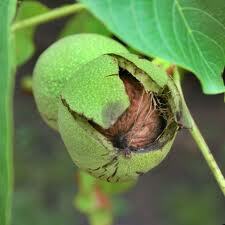 Walnut trees bear flesh green fruit containing a hard nut with seeds. Walnut oil is made by grinding walnut flesh into paste. The paste is then roasted and cold pressed. Steps taken during the production phase will determine the quality of oil. When no short cuts are taken, during production, the nutty walnut flavor will be preserved. Walnut oil has zero cholesterol! It's light in color, has a medium texture, delicate flavor and scent. Good quality, unrefined oil, is topaz with a rich nutty taste. Produced in France, Australia, New Zealand and USA. Has Omega 3, 6 and 9 fatty acids. High antioxidants! Ellagic acid, an antioxidant, is very dense. Walnuts are an excellent source of vitamins and minerals. 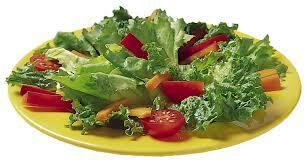 Its vitamins include: A, B1, B2, B3, C and E. Its minerals are: selenium, phosphorus, magnesium, zinc, iron, calcium. TOPPING: High heat destroys the rich walnut flavor and antioxidants. This oil is best used on cold dishes or as a finishing oil. Drizzle on salads, pasta, vegetables, fish, meats or breads. It's often blended with mild flavored oils. Use it as an alternative to olive oil in salad dressings. SHELF LIFE: An unopened bottle of oil may last up to 3 years, but once it's opened it looses quality. After opening it can last 6 to 12 months. STORING: Refrigerate oil, after opening. Prevent rancidity, prolong life. Walnut oil penetrates skin deeply. It moisturizes and nourishes skin with a silky feel. It leaves no greasy residue. Soothes damaged, sunburned, dry flaky skin. Soothes eczema and psoriasis. Helps prevent fine lines and wrinkles. Regenerates skin and helps improve skin tone. It's often used in massages or aromatherapy. CAUTION! If you have nut allergies avoid any products with walnut oil. Mix all ingredients together, well. Apply mixture to clean face. Avoid eyes, ears, nose, mouth or ay sensitive areas. Leave on for 20 minutes. Rinse with lukewarm water, thoroughly. Gently pat dry. This homemade face mask removes excess oil. Oily skin can be prone to acne break-outs. Produces a stable, gentle, lather. Low in saturated fats. Makes soap slow to trace. Works well in combination with other oils, high in saturated fat. Blend with coconut oil or cocoa butter for a harder bar of soap. Walnut oil can be expensive, so use it sparingly in your homemade soap recipes. SOAP MAKING TIPS: If desired, use additives right before soap traces. Honey can add a sweetness while drawing out dirt and impurities from pores. Help prevent acne break-outs. Finely ground walnuts add exfoliating properties and enhance the rich walnut scent. Soften and smooth skin. Improve skin tone. NaOH: .136 oz. / KOH: .192 oz. Olive Oil ..... 8 oz. Walnut Oil ..... 5 oz. Babassu Oil ..... 6 oz. Safflower Oil ..... 5 oz. Sunflower Oil ..... 5 oz. Coconut Oil ..... 11 oz. Cocoa Butter ..... 10 oz. Goat Milk ...... 19 fluid oz. Lye ..... Between 6.96 - 7.19 oz. SOAP MAKING TIP 1: Right before trace, add honey to help cleanse skin. Absorb dirt and impurities from pores. Prevent acne break-outs. SOAP MAKING TIP 2: Right before trace, add finely ground walnuts to help exfoliate skin. Soften and smooth skin. Improve tone and texture. It is best used at 10% to 15% in anti-aging and skin toning products. Great to use in creams, lip balms, massage oils and bath oils. Looking for the right specialty or soap making oil? Find it, now!